Change and challenge is in the wind as 2008 comes to an end. The same is true when examining this month's ReachMD XM 160 special series - Focus on Global Medicine. We take a look at both the changes and the challenges impacting global medicine. Nearly 90% of poliomyelitis cases are found in Nigeria and India, two countries where the virus remains endemic. Poor vaccine coverage especially in Nigeria has contributed to the transmission of disease. Could a newly licensed monovalent vaccine help eliminate the virus in the region? Is this strategy applicable in India as well and how does it all fit into the worldwide effort to eradicate poliovirus? You are listening to ReachMD, The Channel for Medical Professionals. Welcome to a special segment - Focus on Global Medicine. I am your host, Dr. Jennifer Shu, Practicing General Pediatrician and Author. Our guest is Dr. Bruce Aylward, Internist, Epidemiologist, and Director of the Global Polio Eradication Initiative with the World Health Organization in Geneva, Switzerland. Nigeria and India are among the handful of remaining countries that are endemic in polio. What are the challenges that have made it so difficult to eradicate the virus in these countries? Jennifer, you probably know when we set off to eradicate polio about 20 years ago, there were over 125 countries where the disease was still endemic, and over the course of the past 20 years, the disease has been eliminated from all except 4 of those countries indigenous polio has been eliminated, and in addition to India and Nigeria, there is Pakistan and Afghanistan which have also had persistent transmission despite 10 years of ongoing eradication activities in each of these countries. But the reasons for the ongoing polio in each country and hence the potential solutions are quite different. In Nigeria it appears to simply be the fact that not enough kids are getting vaccinated in the northern part of the country as simple service delivery or suboptimal delivery of the vaccines seems to be the problem. In northern India, interestingly, a very different challenge, what it seems there is we are dealing really with a two-pronged problem. One is because of the density of population, poor sanitation, etc. we have got incredibly efficient transmission of the virus, the virus can just circulate so easily in that area. The other problem we have is we found and this is one of the important findings that came out of the research at the end of the program in the last couple of years is that the efficacy of the vaccine in northern India and the last two infected areas of India is fully half of what it is, the per dose efficacy in the rest of the country. So, we have more of a technical problem to solve in India and an operational challenge in Nigeria. You brought up a number of very important points. Let's try to break it down a little bit and talk a little bit in more detail about specifics. First of all, why is it that these two countries play such as large role in global polio eradication? Is it just because of the sheer numbers, or is there transmission of the poliovirus from these countries to others? It’s a two-pronged problem, multi-facet problem both of these countries pose for the eradication initiative. First is the sheer burden of disease together they account for 90% of the polio in the world and the second thing is that these are the only two countries in the world that have served as the virologic origins so to speak of all of the international spread of polio that we have seen in the last 5 to 6 years. In the last 5 years alone, if I remember correctly, we have seen over 100 documented exportations of polio out of these 2 countries, 75% of it out of Nigeria and the balance from India, and it has caused over 500 million, now nearly three-quarters of a billion dollars in international control efforts to deal with the spread of polio from these countries. So, there is a problem within the countries themselves and the international spread from them. Afghanistan and Pakistan are different. In both those countries, the virus has traveled back and forth across their border, but it actually hasn't spread outside of those areas. I was looking at your website recently and there is a report on the number of global cases by country, and I noticed that in 2008, there was a higher number of cases for many of these endemic countries than in recent previous years. What you think might be the reason for that? Well, in each country it’s a little bit different. In the case of India what actually happened was they had a big outbreak in late 2007, which then carried over into the early part of 2008. So, the vast majority of the cases you are seeing for India are basically from the first part of this year and the tailing off an outbreak from last year, and that outbreak was due to what we called the type III polio virus and it was a consequence of a big emphasize to try and stop the type I polio first as that was the one that was spreading internationally. In Nigeria, a different problem. What happened there was because the immunization campaigns weren’t getting extremely coverage, they were getting about 70% of children in some of the areas of the north. Over the past 2 to 3 years, there was an accumulation of susceptible kids and bang a major outbreak of the type I the particularly dangerous poliovirus. In Pakistan, a third problem, and this gives you a sense of the complexity of the different pieces of a puzzle we are trying to juggle to mix my metaphors. In Pakistan, what you are seeing there is an outbreak but it is due to a different problem. There with the deterioration in security in the tribal areas bordering Afghanistan just in the last 6 months as the new government has really put an emphasis to bring some order to those areas, we have seen a large movement of people out of the polio-infected areas of Pakistan where we sort of corned the virus and into the polio-free area of the Punjab, which is the largest province. So really three very different problems in each of these countries requiring different solutions going forward. Now let's talk a bit about Nigeria specifically in the New England Journal of Medicine article that you co-authored. You mentioned that poliovirus immunization was temporarily suspended in part of Nigeria. Is this what you are talking about regarding lower vaccine coverage in the northern region? Well, in fact, there was a problem with coverage historically in the north of Nigeria and this is because of the very weak health services in the northern part of the country. So, routinely, if you think about routine immunization may be 20% of children are reached in most of the northern states in contrast to probably some around 60%-70% in the southern states. But, then as we used the polio campaigns to try and get over that problem in the northern part of the country, some people began to question why are they going to search trouble and it gave rise to a lot of rumors that actually was campaigned to sterilize children, etc., etc. that lead to the suspension of immunization for 12 months while the northern governors in a couple of states tried to sort out the issue and there has been some lingering problem with respect to concerns about the safety of the vaccine, but to be perfectly frank, that has not been the real rate-limiting step, it has continued to be the weakness of the infrastructure in the northern part of Nigeria and the lack really of local ownership by some of the governors in the north and some of the district-level authorities to just take this in hand and ensure all other kids are vaccinated. In the couple of states where they have done that, we have seen tremendous progress. Now New England Journal of Medicine article compared monovalent type I oral polio vaccine with trivalent vaccine and this was done in the northern region of Nigeria, I believe, which had 96% of all type I cases in Nigeria in the year 2006, what were some of the key findings of this comparison? What we are trying to look at here Jennifer was whether or not the monovalent vaccine might provide us an edge in the eradication initiative in the north of Nigeria. So, we did a case control study over the last couple of years to look at the efficacy of this new monovalent vaccine as opposed to usual trivalent polio vaccine, and what we found is that it works at least 2 if not 3 times better than the trivalent dose per dose in protecting children against type I polio and that’s particularly important because the type I polio has the highest paralytic rate of the remaining 2 serotypes and is also the one that spreads internationally. So, getting that under control very quickly is the key and clearly we have a much, much, much, better tool for doing that with the monovalent product. Now even if the monovalent product is more effective, what you mentioned in the part of India where there is such viral illness, you are not going to see that immunity no matter which product you use, the monovalent or trivalent. So, what might be some ways of getting around this problem with immunity in India? In terms of northern India, the challenge clearly is suboptimal efficacy of the vaccine and the monovalent vaccine. It performs as well in northern India as the trivalent vaccine does in the rest of the country but remember you have got that added problem of highly efficient transmission in the north which means you have to get even higher coverage, higher population immunity in the north than you would have to in the south. Now there is a couple of approaches that have been used to try and achieve this. One has been to mass campaign the population every month, because between campaigns there are another half a million children being born in the northern part of India. So, first thing was the government brought the campaigns close together, used only the monovalent vaccine and that appeared to be successful. It stopped the indigence transmission of the type I virus, but the problem is they got reintroduced and took off again here in the north of India. So, what the government is now looking at is how else could we boost immunity and what we are particularly interested in is to give the dose of the inactivated polio vaccine in addition to the oral vaccine to the youngest kids in the highest risk areas to see if with that we could build their immunity even more quickly than we can with the frequent campaigns. By the time children are 3 years of age, 99.5% of them are protected against polio in northern India. The problem is getting enough doses into them fast enough and there we need some new ideas and we are hoping a dose of IPV might help. And how many doses do you anticipate in the series of immunization? Well, its interesting in northern India its hard to say how many doses any individual child needs to protect against polio, but what the plan is going forward is to continue using the monovalent vaccine basically every month in children under the age of 5 years and then using a dose of IPV 6 months apart in the highest risk areas to further boost or close any immunity gaps among the very young after they have had so many doses of mOPV, and the plan will be to run that approach right through 2009 and have another look at it in late 2009, but I would be willing to wager by that time we are not going to have any more of the type I virus and we are going to be focussed on type III in India. What point in vaccine-induced immunity might we start seeing eradication of the disease? Is it there are certain level of vaccine coverage that is required for that? The key issue is not so much the coverage as I am sure you know but the actual level of population immunity and some of the other interesting insights we have had from our work with Imperial College to try and evaluate what's going on in Nigeria and India, is that there are different levels of immunity appeared to be needed in different areas. In Nigeria, it appears like transmission stops once you get up around 75% to 80% of the population protected by vaccination, whereas in northern India and potentially in parts of Pakistan, you have definitely got to get well over 90% and in northern India over 95%. So, fully in the setting of northern India, a 15 percentage higher in level of immunity is probably needed than in sub-Saharan Africa. I would like to thank our guest, Dr. Bruce Aylward. We have been discussing polio eradication efforts in endemic country. I am Dr. Jennifer Shu. You have listening to a special segment – Focus on Global Medicine on ReachMD, The Channel for Medical Professionals. 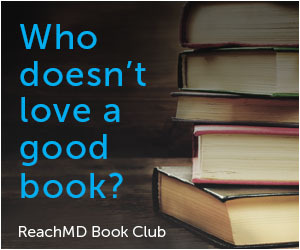 Please visit our website at www.reachmd.com, which features on-demand pod cast of our entire library. Thank you for listening. 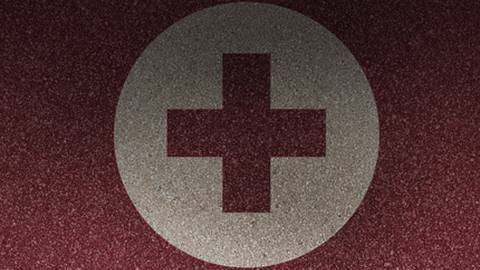 Thank you for listening to our special series - Focus on Global Medicine. As we celebrate this annual holiday season, every one at ReachMD wishes you and your family a happy holiday and a successful new year. Free CME on ReachMD is now easier. Link to ReachMD’s free custom application for your iPhone at www.reachmd.com. Nearly 90 percent of poliomyelitis cases are found in Nigeria and India, two countries where the virus remains endemic. Poor vaccine coverage, especially in Nigeria, has contributed to the transmission of disease, but could a newly licensed monovalent vaccine help eliminate the virus in the region? Is this strategy applicable in India as well, and how does this all fit into the worldwide effort to eradicate poliovirus? Dr. Bruce Aylward, director of the Global Polio Eradication Initiative at the World Health Organization (WHO), probes these questions and more with host Dr. Jennifer Shu, as he lays out WHO plans to move us closer to conquering polio over the next several years.